Sign up for our newsletter to find out about the hottest events and latest presales of your favorite artist! On top of that, we offer exclusive contests and attractive promotions to our newsletter recipients only! Register now and never miss a ticket again! 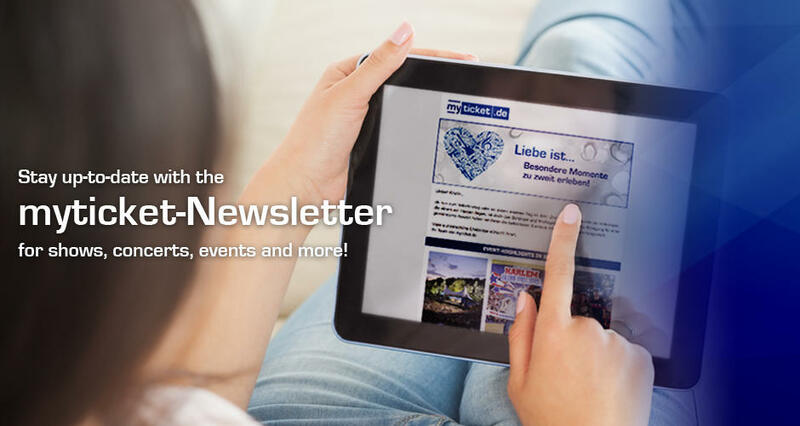 I would like to subscribe to the newsletter sent out by myticket AG and associates containing information about their products and special offers. My personal data will under no circumstances be passed on to third parties. At any time, I can withdraw my subscription by sending an e-mail to abmelden@myticket.de. You can deregister by any time.